For a good 5ish years, I really struggled with my natural hair and I just hated it. 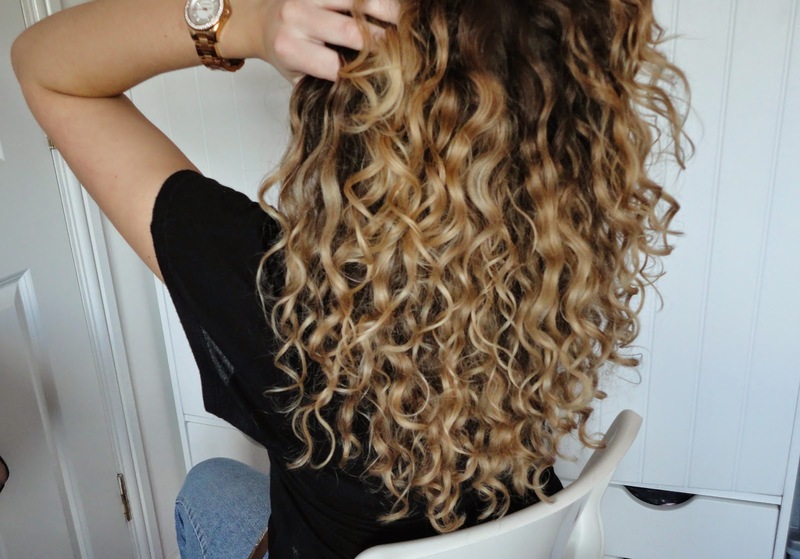 I would straighten and straighten it and it wouldn't even look nice! I finally learnt how to curly blow dry my hair a couple of summers ago (productive I know!) and that's how I've been wearing my hair pretty much ever since. But about a month ago, I tried leaving it to air dry and I've had so many lovely compliments and comments about it that I'd share my two secret weapons when keeping this mane frizz free with defined curls. I'd also like to mention that when I blow dried my hair for the first time in 3 weeks, it felt so smooth and blow dried so easily as it was in such good condition! So it's also given my hair a bit of a break from the constant use of heat tools too. I wash my hair using the John Frieda Luxurious Volume Shampoo and Conditioner, a great recommendation from the lovely Amelia Liana that I've used for a good few months, and works well for both my natural hair and when I blow dry it. I quickly towel dry my hair then tip my head upside down and scrunch a pump of Label.M's Curl Cream in all over my hair. This is an absolute miracle product and I would 100% recommend it to anyone with hair like mine as it keeps it nicely frizz free and soft. 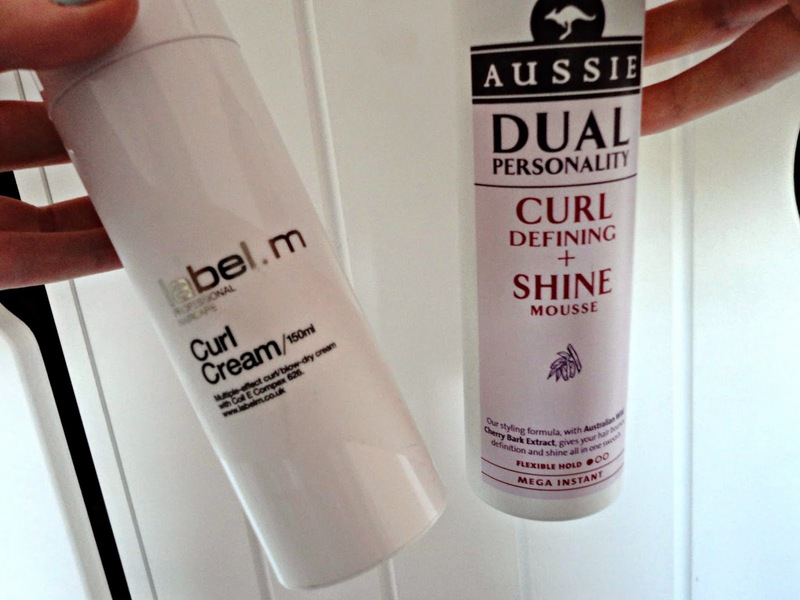 I then scrunch in the Aussie Curl Defining and Shine Mousse. First things first: this smells amazing! So fresh and summery. These two products together are amazing and I genuinely notice the difference if I don't use either of them. Let me know if you've got hair like mine and what products you use 'cos I'd love to know!